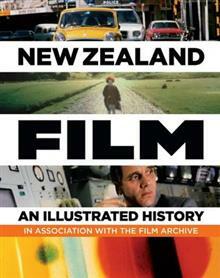 This is the first book to provide a comprehensive overview of New Zealand film and film making from the very beginning. It features essays about significant developments from magic lantern shows to digital video, and key figures from Rudall Hayward to Peter Jackson. From the icon... read full description below. The age of cinema began in Paris in 1895. Within a year New Zealanders saw their first films and in fewer than five they were making their own. In the years since, New Zealand has produced almost every conceivable type of film, from home movies to arthouse flicks to Oscar-winning wide-screen epics, building a rich and varied screen culture and launching the careers of hundreds of directors, actors and behind-the-scenes professionals. New Zealand Film: An Illustrated History is the first book to provide a comprehensive overview of New Zealand film and film making from the very beginning. It features essays about significant developments from magic lantern shows to digital video, and key figures from Rudall Hayward to Peter Jackson. From the iconic to the unknown, Broken Barrier to Braindead to Boy, it's all here. Lavishly illustrated with hundreds of never-seen-before images from the photographic collection of the Film Archive and beyond, it also includes a DVD of some of the most important films in our history. With contributions from 24 top film writers, historians, household names and industry insiders, this book is an entertaining narrative of more than a century of film making and an essential reference tool for students and film buffs alike. New Zealand Film: An Illustrated History is proudly published in association with the New Zealand Film Archive Nga Kaitiaki O Nga Taonga Whitiahua.